When it comes to your oral healthcare, we strive to set the standard for excellence. It all begins with developing a personal connection with you, the patient we serve, and listening to your needs and concerns to jointly create a custom treatment plan. 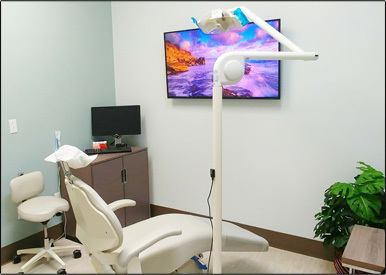 Our state-of-the-art facility utilizes the most advanced technology, finest quality materials, and distinguished dental laboratories for fabricating your quality restorations. Dr. Ned and his team offer clinical expertise in diagnosis, treatment planning and providing care for your overall wellness. We believe in relationship building, lasting friendships and patient education so together we can make the best decisions for your whole body health. Every patient benefits from a comprehensive dental evaluation. While many dental offices may treat patients on a tooth-by-tooth basis, we believe in caring for the whole patient. Our skilled team considers your personal history, expectations, present conditions, and future needs. Our goal is to support you in optimal oral health and overall well-being, through preventive care and state of the art treatment. By using a comprehensive approach that integrates the best possible occlusal or bite function with personalized esthetic treatment options, we are able to achieve a high level of treatment success and patient satisfaction. Good restorative dentistry is more than excellent clinical skills and state-of-the-art equipment. We feel that mutual trust and respect are important factors in the success of your treatment. Our team members believe that open communication can help build a high level of trust and we work hard to make sure that our care is deserving of our patients' respect and confidence. Our job is to listen to you, explore treatment options together, taking the time to answer all of your questions completely, and then respecting your decisions. The more involved you are in making your own dental health decisions, the less room there is for fear and uncertainty. We pride ourselves on being the best in recommending personalized ways you can maintain a healthy lifestyle so your treatment can be kept conservative and to a minimum. With advanced technology including intra-oral cameras, we can detect problems in their earliest stages, before they can be found on digital x-rays. Our oral cancer and other comprehensive screening allow earlier diagnosis for more conservative treatment. Don't take your health for granted, make sure to schedule your visit with us today.